Welcome to Judith Hummer Watercolors. 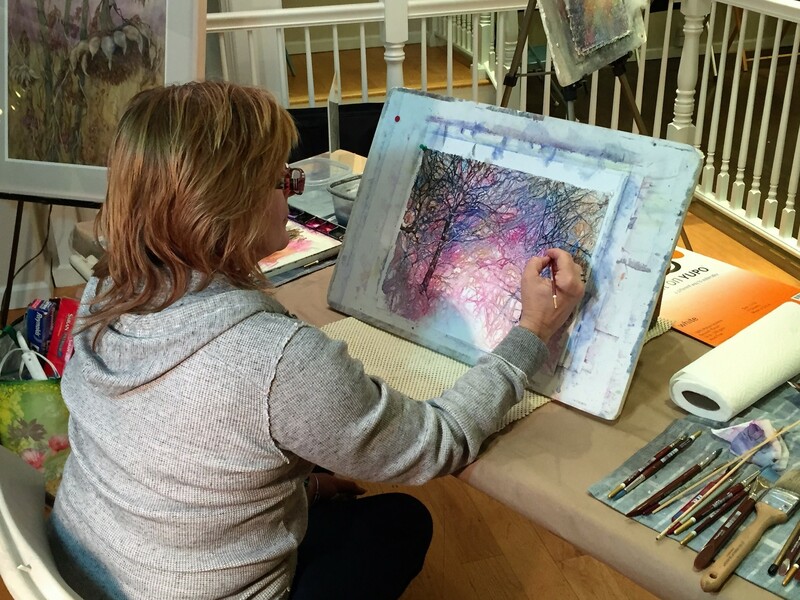 I invite you to join me on an exploration of transparent watercolor techniques and visions - browse my gallery, come meet me at an event or demonstration, or at one of my classes. I look at each painting as an opportunity to challenge myself to deliver the viewer an unexpected point of view. By using an array of transparent watercolor techniques to express the beauty in subjects that may ordinarily be overlooked, I am always looking at the world with an inquiring eye. Transparent watercolor is an exciting medium with a mind of its own. I love experimenting with techniques that allow me to use watercolor to evoke emotions, environments and movement. I also experiment with various painting surfaces including 140 lb cold press, yupo paper, clayboard and rice paper. My subject matter is quite diverse, including urban, landscape, florals and water scenes.